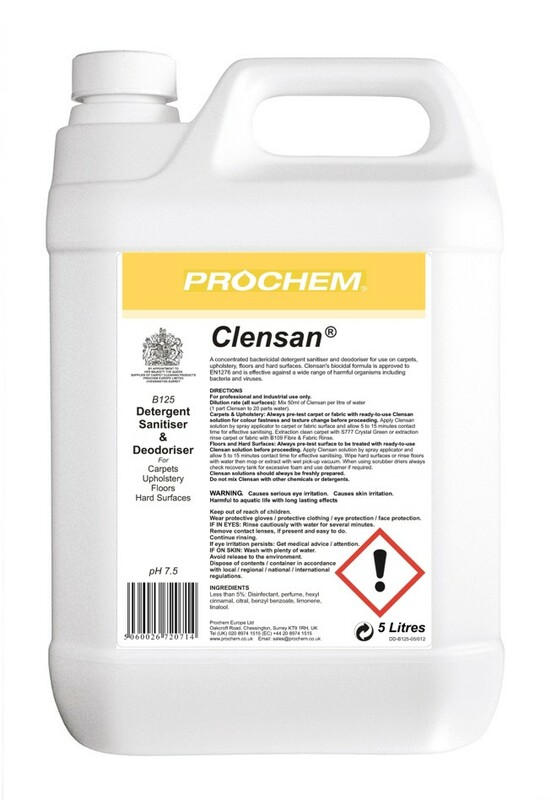 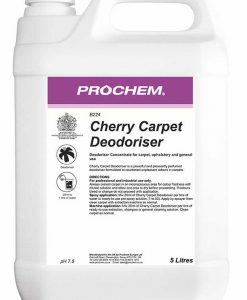 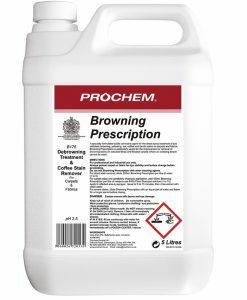 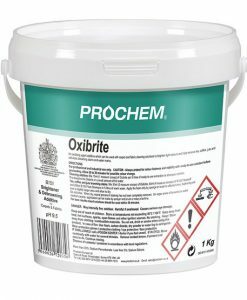 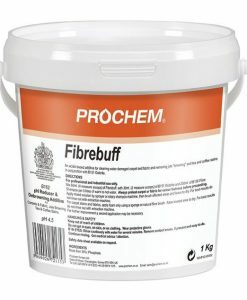 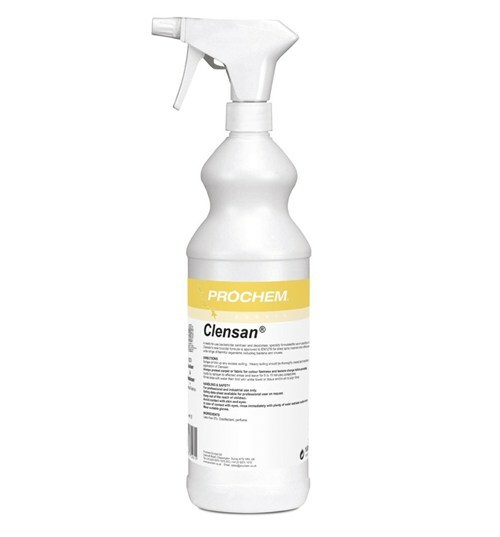 SKU: B125-05 Categories: Carpet / Upholstery Deodorisers, Carpet Cleaning Products Brands: Prochem. 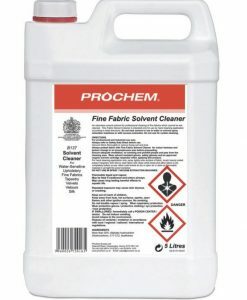 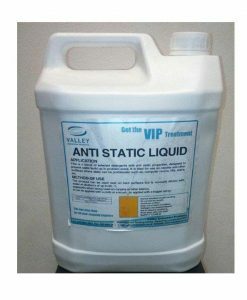 Specially formulated crystallising sanitiser for carpets and fabrics. 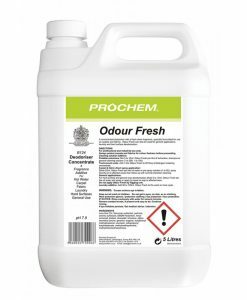 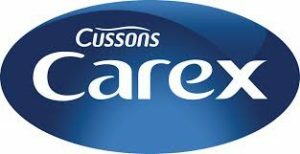 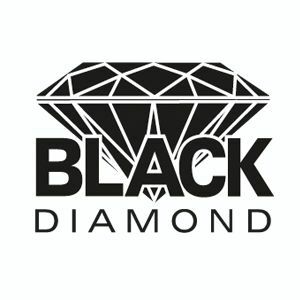 Provides protection from bacteria and odours caused by floods, mould, mildew and food soilage. 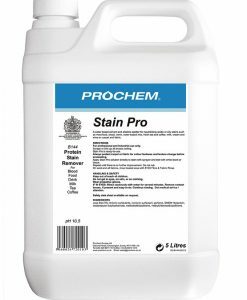 Dilute with water and apply by sprayer after cleaning, or mix with S777 Crystal Green for combined cleaning and sanitising. 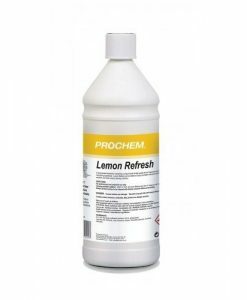 Clear liquid with herbal lemon fragrance.